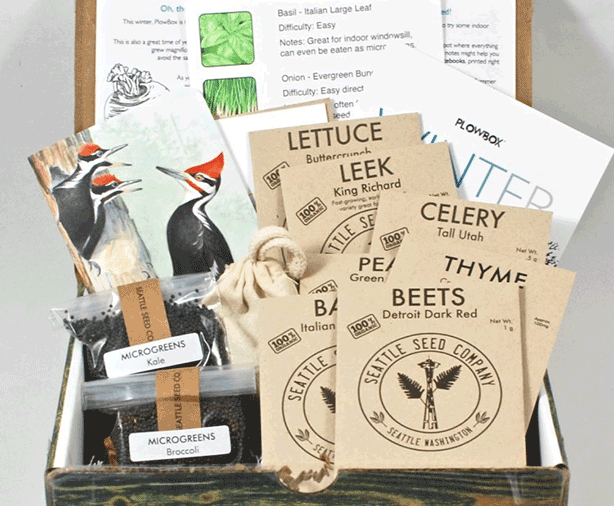 For busy city dwellers, a monthly or quarterly gardening subscription box is an effortless way to get in the gardening groove to jump-start or maintain any size urban garden. 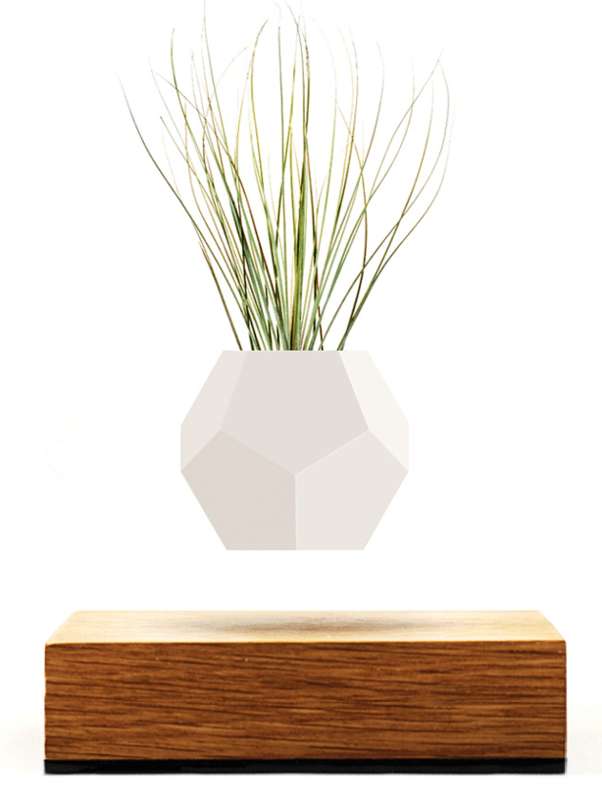 Hovering via magnetic levitation above its oak base, the 12-sided geodesic Lyfe planter pot gently rotates suspended in mid-air, reflecting different shades of light as it softly floats. 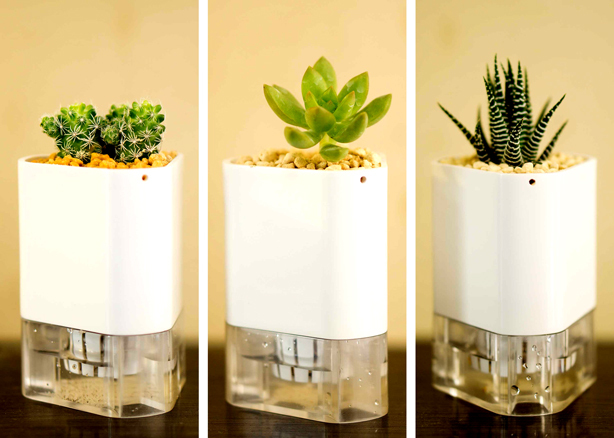 For those of us who have downsized to smaller digs where space is at a premium, there’s a new self-watering modular pot system for growing plants, herbs and flowers indoors in compact areas. 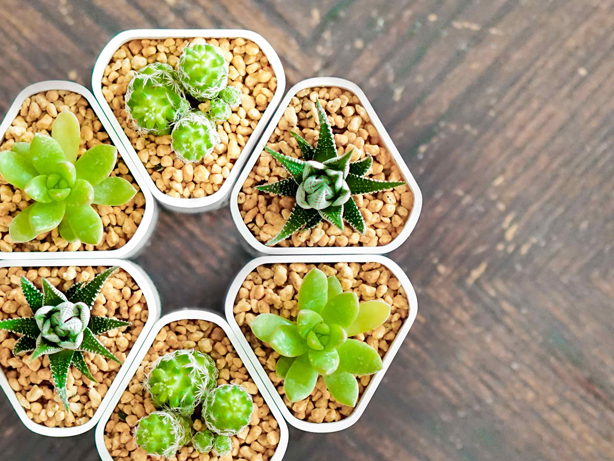 Remember those Isosceles and Scalene triangles you learned about in school? 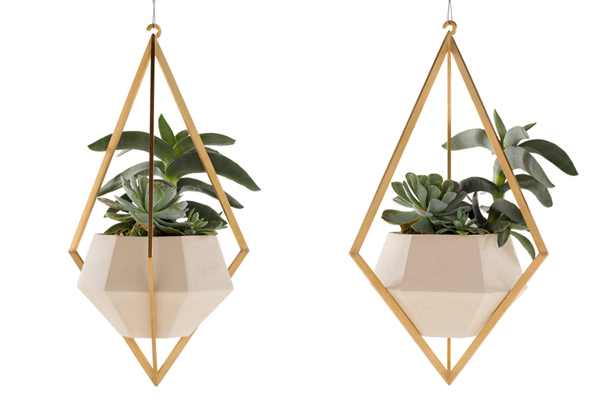 Brooklyn designer Farrah Sit would make Euclid proud. 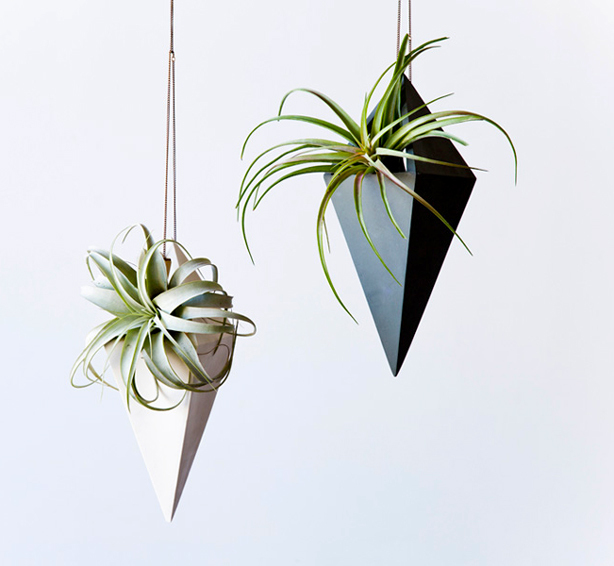 She creates objects, like her Tetra, Graphite, and Ballast planters using these geometric shapes. 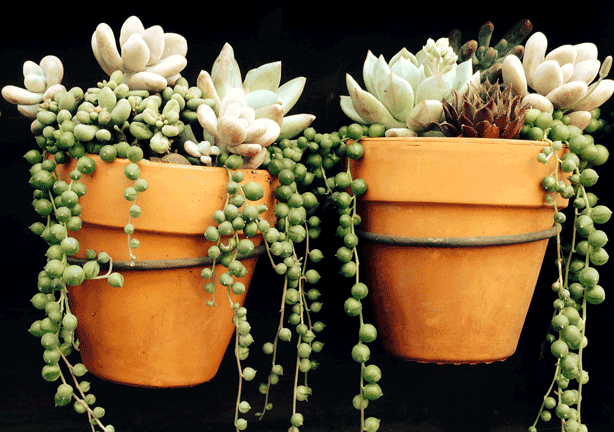 Ballast collection of matte stoneware planters.